Ready To Sell Your Staten Island House? Consider It Sold. Sell your house on your terms and avoid the hassle of realtors, repairs, and months of uncertainty. Get A Fair “AS IS” Cash Offer. You choose the closing date. Stop wasting time and money trying to sell your home the traditional way. Are you asking yourself “how do I sell my house fast in Staten Island” or “who will buy my Staten Island house ?” Well now you can rest easy because you’ve found the answer to those questions right here. Sell Now Homebuyers is the premier local home buying company in the Greater New York real estate market. Sell Now Homebuyers have been in business since 2010 and as the #1 Home Buying Company in NY, will buy your Staten Island house as-is. That’s right, we’ll buy your Staten Island house or property no matter what condition it is in! There’s no need to clean, make repairs or renovations, or anything else. We take care of it all when you sell to us. We are not Realtors; we are a group of professional real estate investors and we have the real estate knowledge, legal resources, and funds available to fix most real estate problems, that includes buying your Staten Island NY house for cash. Get Cash For Your Staten Island House. When searching the NY real estate market for a “We Buy Houses Staten Island” company or companies that buy houses, there is no better choice then Sell Now Homebuyers. 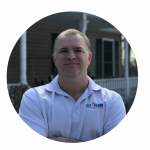 As real estate professionals and investors, we’ve bought hundreds of homes through out the Greater New York area and have an outstanding customer satisfaction history – check out our reviews here. We Buy Houses Staten Island NY! Sell Your House Fast And lose In As Little As 3 Weeks. When you decide to sell your Staten Island house or property to Sell Now Homebuyers, you get our promise that we’ll do whatever we can to buy your New York real estate property in as little as 3 weeks! We’ll work on your schedule to keep the process as convenient for you as possible. It doesn’t matter why you need to sell your Staten Island house…we’re here to help. *If another investor or buyer says they can buy your house in just 7 days they are not telling you the truth. That is not possible in New York State. Work with a local reputable company like us. Whether you inherited your home, are being foreclosed on, have gotten divorced, behind on taxes or simply want to move – we’ll buy your house quickly and for cash! 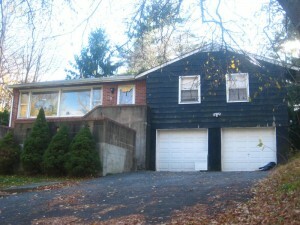 We buy houses in Staten Island fast and can help you sell your property in as fast as 21 days. How? We buy it from you directly! Sell Now Homebuyers has a proven track record in Staten Island New York. We’ll buy your house as-is, make the necessary repairs, and get you cash for your house fast. What can be better? Other companies out there may make you an offer for your house, but few can be trusted to buy your home in just 3 weeks. When you need to sell your Staten Island house fast, you want to work with the right buyer. As a the PREMIER LOCAL house buying company, it is our goal to achieve win-win transactions with every homeowner who is looking to sell their Staten Island house quickly. STOP worrying about how YOU are going to get your Staten Island home sold! Do You Need To Relocate Quickly & Need To Sell Your Home Fast? Do You Have Little Or No Equity But Still Need To Sell? 1. Fill in the Online Form – No need to worry. We will never share your name or information with anyone without your authorization. 2. Answer Your Phone – A friendly real estate expert will contact you within 24 hours to gather information about your case so we can offer you the best solutions. 3. Get an Offer – Depending on your specific situation, we will either make you a cash offer or create a creative solution for your real estate situation. 4. Sell Your House – If you accept our offer, we will buy your NY house really fast. We always seek win-win solutions to your real estate situation. Ready to sell your Staten Island home? Skip the hassle of repairs, showings and months of uncertainty. Get an offer on your home – fast! Submit your property info in the form below. Tell us about your home and we’ll get you our top purchase price within 24-hours. ... to receive a fair all cash offer and get our free guide.